On Friday, 20th of June 2017, the first Gala-Dinner for graduates of the Anglo-Russian School took place in the British Embassy in Moscow. This was an exciting occasion for everyone and was particularly enjoyed by the graduates themselves. We have therefore decided to make the British Embassy Reception an annual event for our graduates. 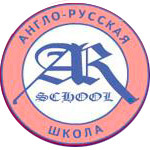 Anglo Russian School Alumni. All the graduates of the Anglo-Russian School, wherever they continue their education, remain part of our wider school community: they keep us informed concerning their further education institutions, their successes as well as their difficulties. The graduates also visit our school on its birthday – 1st of November – a day of holiday celebration for all of us. On this special day, the teachers, graduates and students of The Anglo-Russian School meet together with other guests. The new graduates give a Presentation in which each tells the other guests about his/her University. The new graduates also receive their final year A- Level Certificates (Edexcel) and their special Graduates’ – red sweater with the School’s emblem printed on it. Those graduates who study in British or other overseas Universities and cannot visit the School on 1st of November send e-mail messages to us and a report is given on their behalf..
Of these, there are 3 graduates studying in the U.K. (Warwick and Aston universities) and 2 graduates studying in other overseas universities (in Italy and Australia). Apart from one other graduate, who is studying in St. Petersburg, all our other graduates are studying in Moscow.